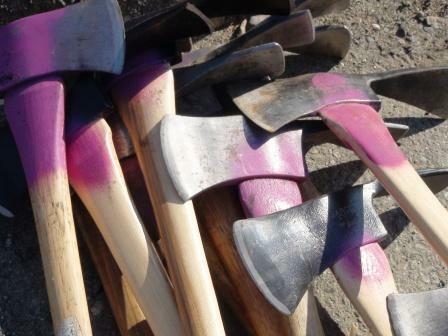 Most volunteer efforts don’t involve carrying canisters of film, Deet and bear spray, however for the adventuresome employees who elect to give of their time in Alaska, they can be necessary tools of the trade. 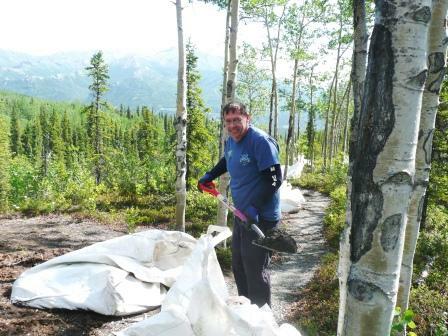 For the second year in a row, employees at the Denali Princess Wilderness Lodge have devoted dozens of hours to maintaining trails as part of a summer-long commitment to strengthen the partnership between Princess Cruises and Denali National Park. 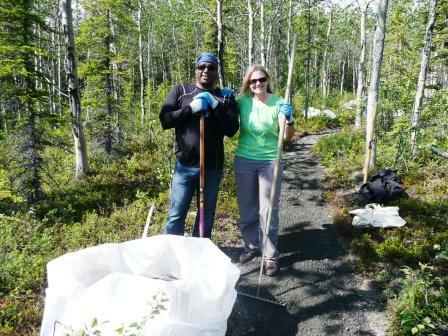 This year, as many as 60 employees have shown up to work on three trails simultaneously by spreading gravel, low stumping (aka pruning at ground level), and eliminating tripping hazards with an axe or shovel in order to maintain trails near the entrance of Denali National Park. While giving back and getting outdoors was cited as the top reward of the project, the opportunity to see wildlife in the park is also a motivator for employees. “Team No. 1 saw Denali (Mount McKinley), porcupines, ptarmigan, caribou and a lynx,” said Kristin Wells, Denali Princess Wilderness Lodge hotel services manager and volunteer lead. With the park being such an integral part of the Princess guest experience in Alaska, the partnership was a straightforward decision by management and employees. Every Alaska cruise tour guest visits Denali National Park, a top destination that covers 9,419 square miles (an area the size of Maryland). With the help of Molly McKinley, Denali National Park trails volunteer coordinator, and the direction of Denali Princess Wilderness Lodge General Manager Bonnie Westlund, staff have completed three volunteer trail days thus far. 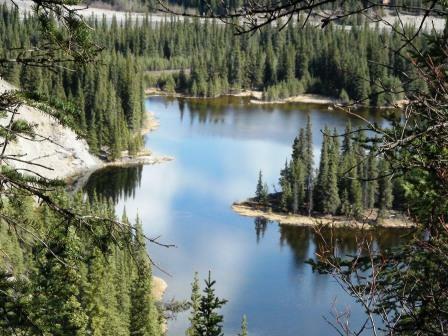 More trail days are planned, with one or two dates for employees to participate per month before the lodge closes for the season on September 25. The collaboration began last year when helicopters flew 27 large bags of gravel up the Rock Creek Trail, dropping them at designated spots along the 4.8-mile loop trail. Simply getting to the work site requires volunteers to carry their own water, food and tools several hundred feet in elevation to complete their toil. While the work is not easy, the effort is valued by park staff. 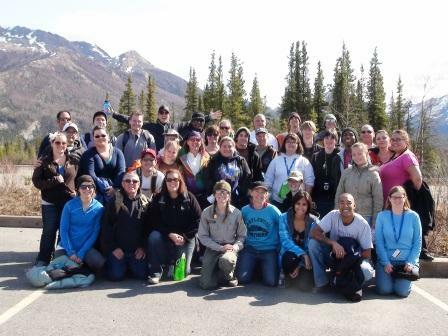 “We at the Denali Trail Program genuinely appreciate your energy and work,” McKinley said.